Enjoy the best inspirational, motivational, positive, funny and famous quotes by Albert Goldman. Use words and picture quotations to push forward and inspire you keep going in life! Commercial to the core, Elvis was the kind of singer dear to the heart of the music business. For him to sing a song was to sell asong. 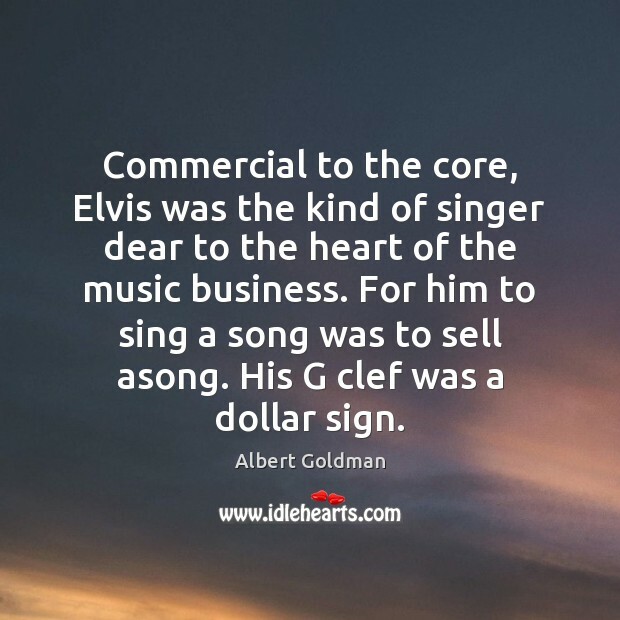 His G clef was a dollar sign. Intel is down but not out. 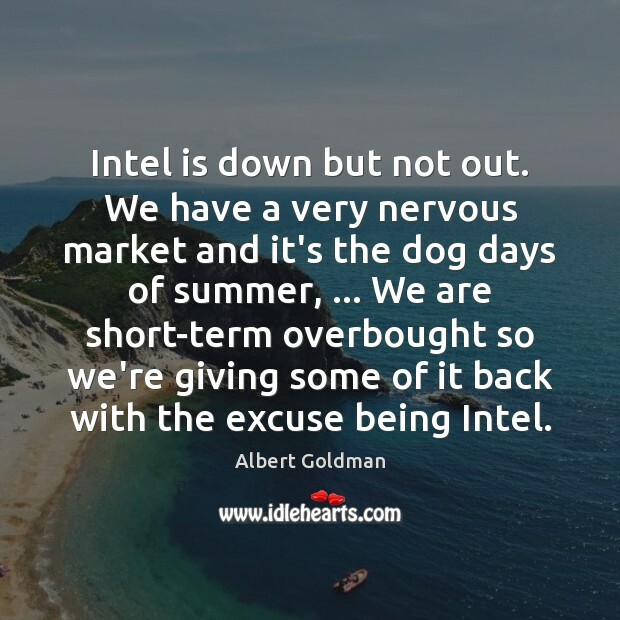 We have a very nervous market and it's the dog days of summer, ... We are short-term overbought so we're giving some of it back with the excuse being Intel. 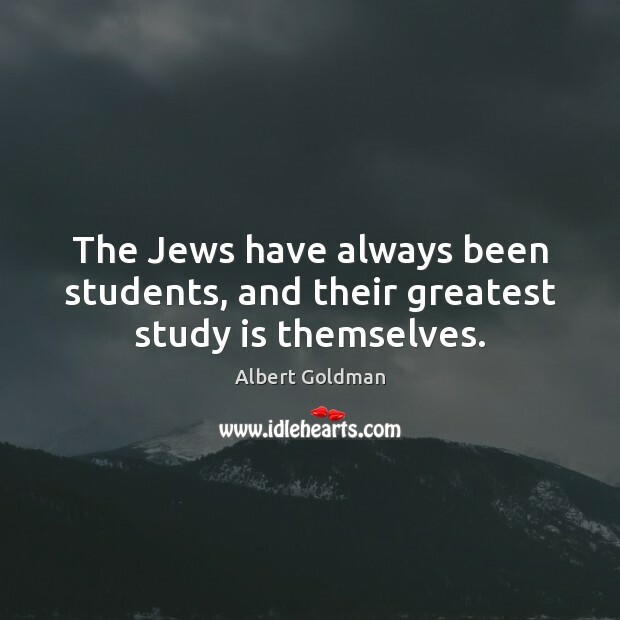 The Jews have always been students, and their greatest study is themselves. The mood in the market is one of a high level of caution. 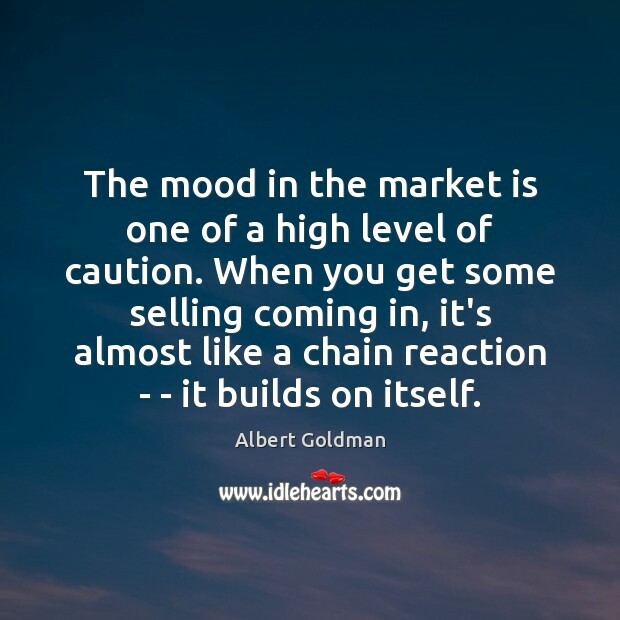 When you get some selling coming in, it's almost like a chain reaction - - it builds on itself. No man is really changed by success. 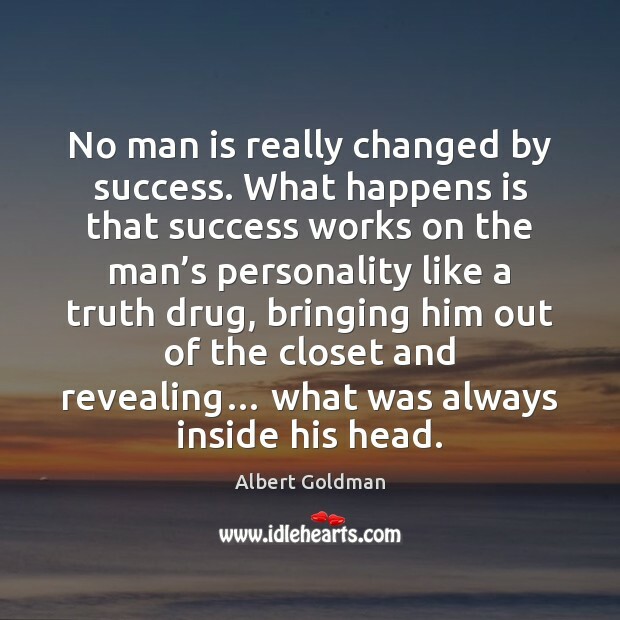 What happens is that success works on the man’s personality like a truth drug, bringing him out of the closet and revealing… what was always inside his head.